What made the experience of listening to On Photography the most enjoyable? 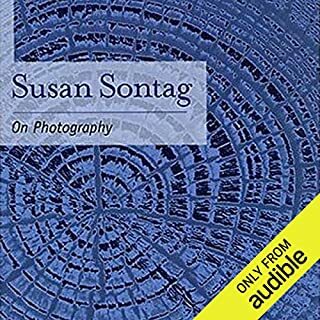 This is one of the best books around if your interested in some incredibly penetrating thoughts about photography, its history and its place in the modern world. A minor downside is that its a bit old and doesn't deal with some new issues in photography. This is one non-fiction book that wouldn't make a good film. Susan Sontag was brilliant. I wish she had lived to comment on what's going on with photography now.